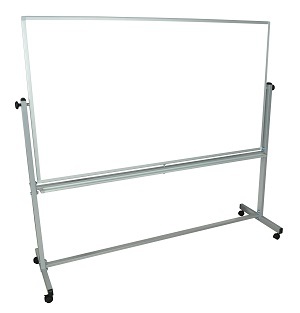 This bestselling whiteboard doubles your writing space and provides the mobility needed in a fast paced and ever-changing environment. The steel frame’s modest footprint is ideal for both a professional appearance and a conservative space. When the board is ready for use, the locking brakes and side knobs steady the frame for writing or presenting. 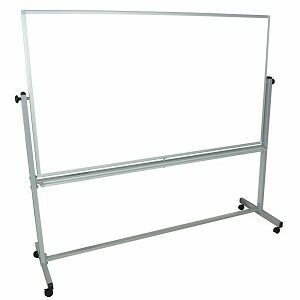 This magnetic dry-erase board is a great choice for schools and businesses with conference areas, classrooms, and shared spaces.